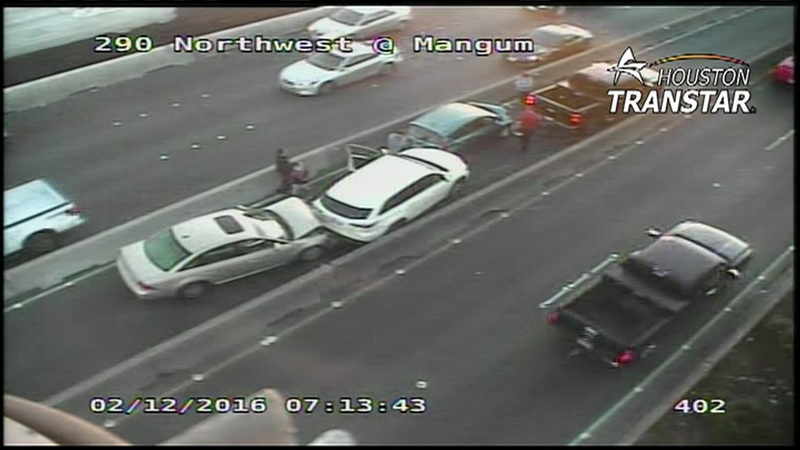 HOUSTON (KTRK) -- A four-car pileup is tying up traffic in the HOV lane on 290 Northwest Freeway eastbound at the Katy Freeway. Emergency vehicle have arrived and are working to clear the scene, but traffic is slowing in both directions as vehicles slow to look at the wreck. If you can avoid the HOV lane, get into the main lanes eastbound. Watch Eyewitness News at 11am and stay tuned to abc13.com anytime for new details on this developing story.